Cristienne De Souza, a popular cruise sales executive who worked with home-based travel agents and trade associations, has landed a new job as director of national accounts at river cruise company AmaWaterways, effective Nov. 11. “I am super excited about the role and the company,” she said. She will report to Gary Murphy, the former vice president of national accounts who was recently promoted to vice president of sales at AmaWaterways. De Souza left Celebrity Cruises Sept. 12 as part of a corporate reorganization that eliminated 100 positions. She had worked with Royal Caribbean Cruises Ltd. for 14 years and served as channel strategy manager for nine years, first for Royal Caribbean International and Celebrity and then solely for Celebrity for seven years. She was one of the first cruise executives to focus on developing tools, resources and programs for home-based travel agents. De Souza holds a bachelor’s degree in marketing management and a MBA degree. She currently is a candidate for a master’s degree in Sustainable Tourism and Environmental Management from Harvard University Extension School. Fluent in Spanish and Portuguese, De Souza is passionate about eco-travel and other environmental causes and has received numerous awards and accolades, including two “Travel Industry Executive of the Year” awards from the National Association of Career Travel Agents. Murphy’s experience in the travel industry spans more than 25 years. Prior to joining AmaWaterways, he served as vice president of marketing and sales for Miami Air International before taking on various roles at one of the country’s leading tour operators, Brendan Worldwide Vacations, including vice president of marketing and sales and company president. He left Brendan in 2009 to oversee national accounts for AmaWaterways. In his new role, Murphy will continue to report directly to Karst. 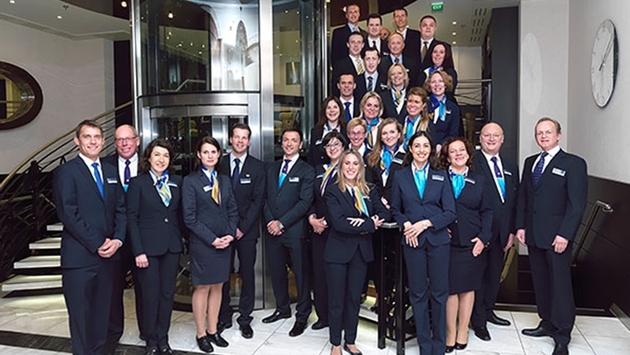 “This is a wonderful opportunity for me to work with AmaWaterways’ exceptional sales team in furthering our close relationships with our agency partners,” Murphy said.